Alas! My delightful bright pink flats have already died. 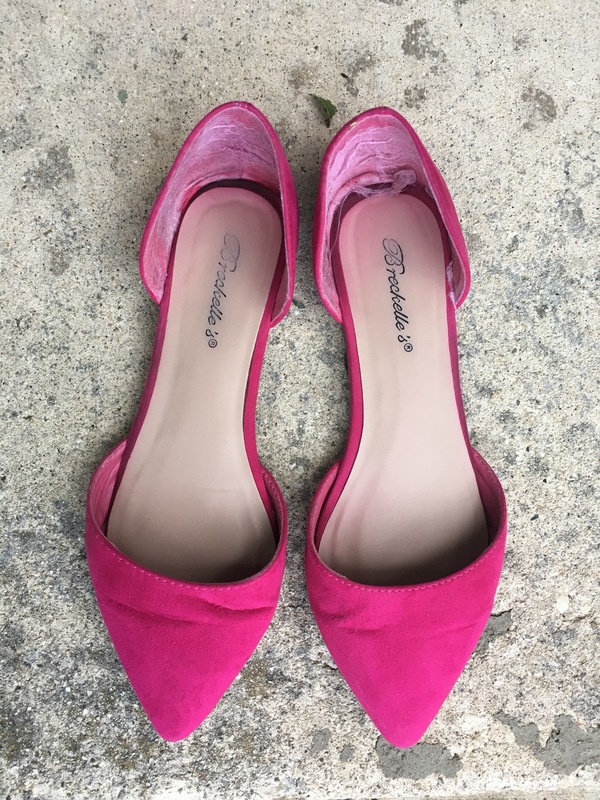 I had purchased a pair of leopard flats through Jane.com for $15, then saw the same deal pop up again and picked up these pink guys. The brand is actually Breckelle’s, you can get them at Shoetopia or Amazon (that I know of). This was definitely a case of “you get what you pay for.” I’ve had this pair for about two months and have worn them maybe 5 times and they’re already pretty trashed. I am, admittedly, pretty tough on my footwear, but even I usually get more than 5 wears out of a pair of shoes! The problem here is that the heel of the shoe isn’t connected to the front at all, and as such really doesn’t have any support, so when I, a heel-heavy walker, walk around I these, my heel is pushing against the back of the shoe, collapsing the pretty minimal support. Not only does that scrape the back of the shoe against the ground (as you can see in the photo below), it also makes this pair of size 8’s fit more like 8.5’s or 9’s — they actually slip off my feet when I walk. 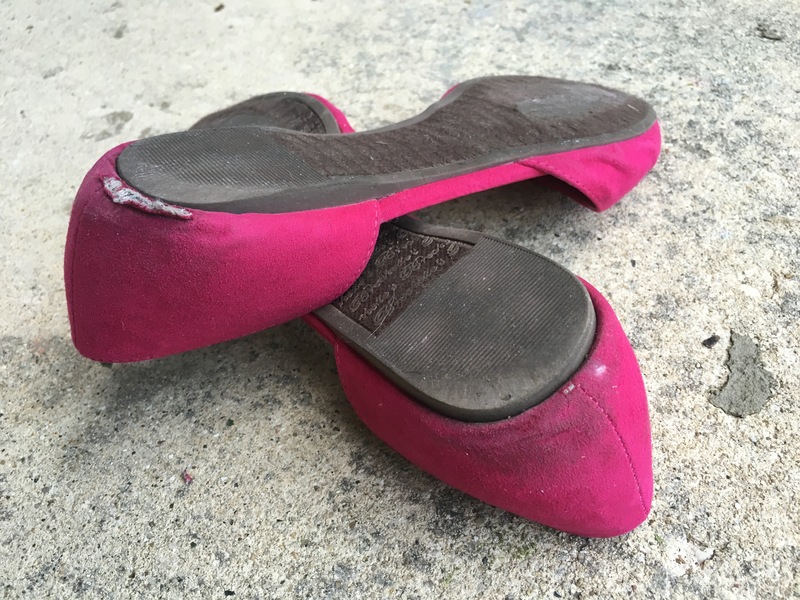 So while I love the color and the shape on these flats, I really can’t recommend them. Perhaps if you walk differently, these would be fine, but I won’t be purchasing another pair as they don’t last even one season. In other news, I’m off work today because daycare is closed, so I will be running errands, playing games on the floor, and other toddler-related activities. I wanted to make sure I would be comfy and functional, but also looking good. 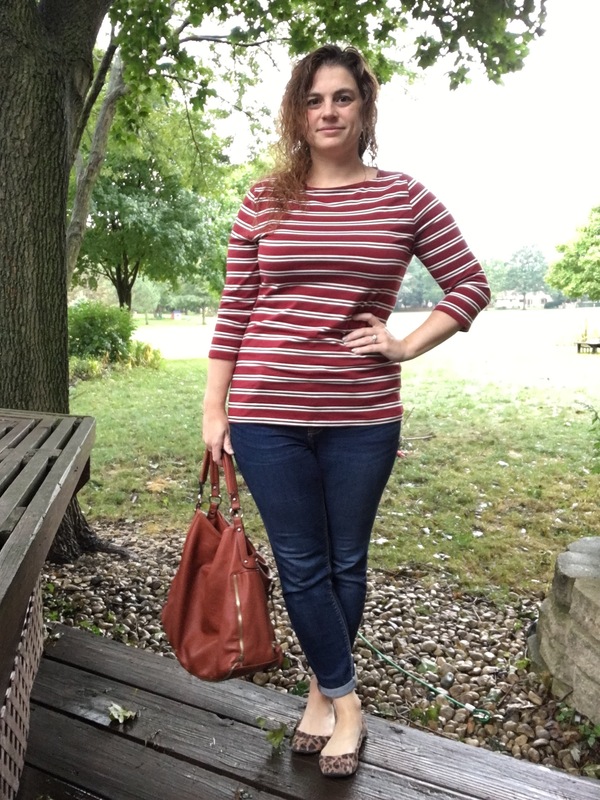 Of course my weekend outfit looks much like a weekday outfit would with a few small changes! 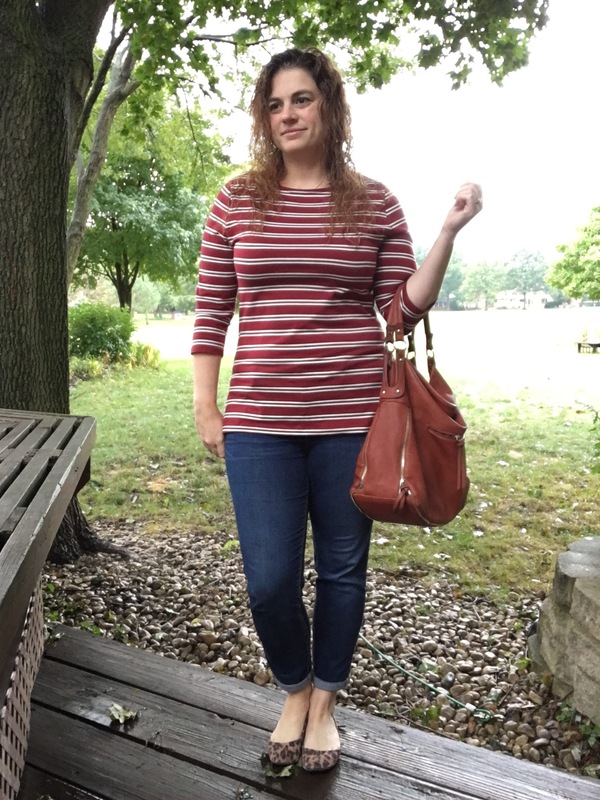 I swapped out pointy toe leopard flats with rounded toe ones that stay on a bit better. (Yes, I’m laughing at myself, don’t worry) No pendant necklace today because it is something that almost 2-year-olds love to try to steal. And of course my trust slouchy purse. This thing is big enough to hold a clutch as well as any other childcare necessities without needing to tote a diaper bag. Thank you! 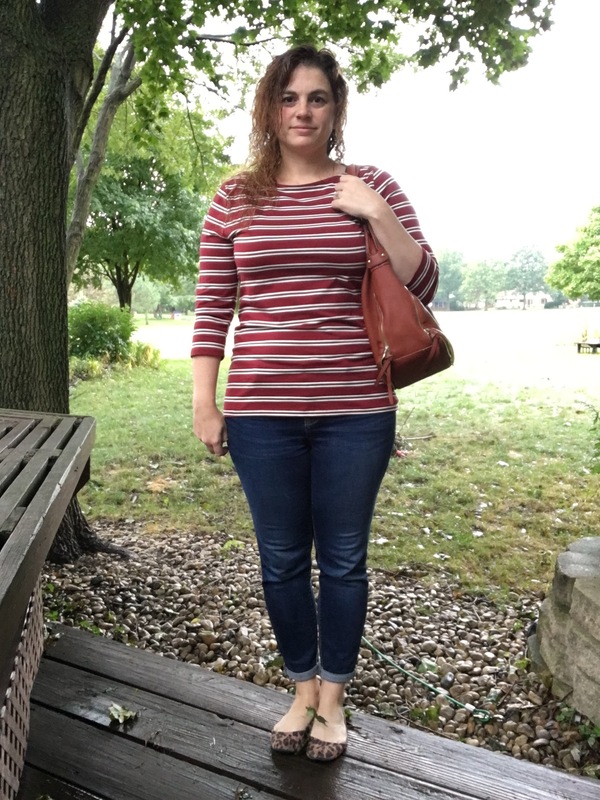 I’m really loving these tops from Target. They’re perfect for the days that I wake up feeling blah. I love the idea of thrifting high-end shoes. I’m pretty rough on my shoes, so I never want to spend much on them, but it definitely came back to haunt me on these!